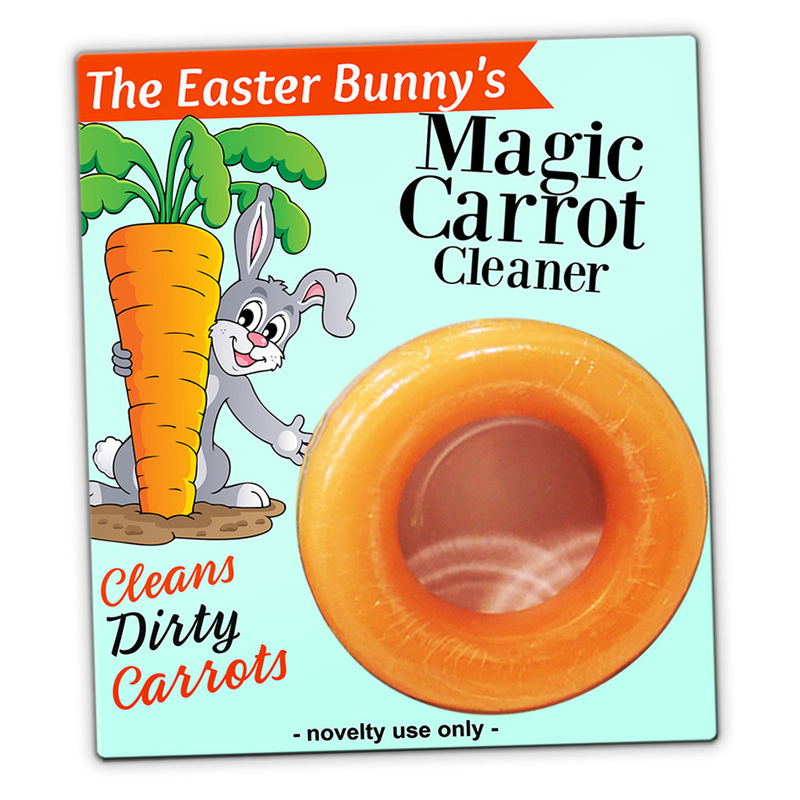 How do you want your carrot to be remembered? Flavor and texture are important, but presentation can make or break that special moment. Not only will the initial contact be at stake, but what folks are saying about your carrot when you’re not around is on the line too. Bad word of mouth can ruin a carrot’s reputation forever, leaving it cold and unwanted until it just shrivels up in the crisper…never to be seen again. 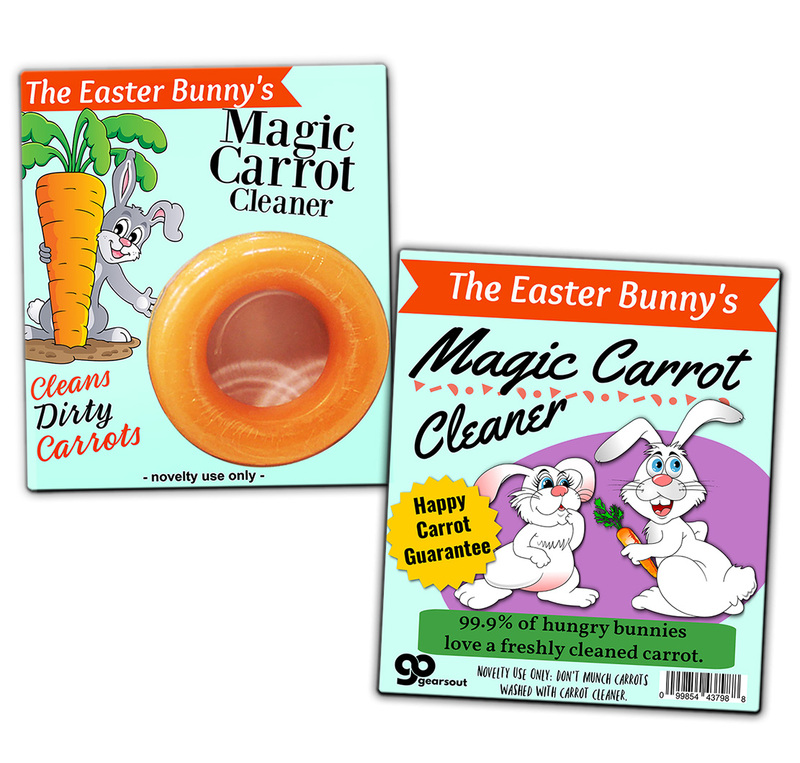 The Easter Bunny’s Magic Carrot Cleaner will have your main veggie looking good enough to eat! 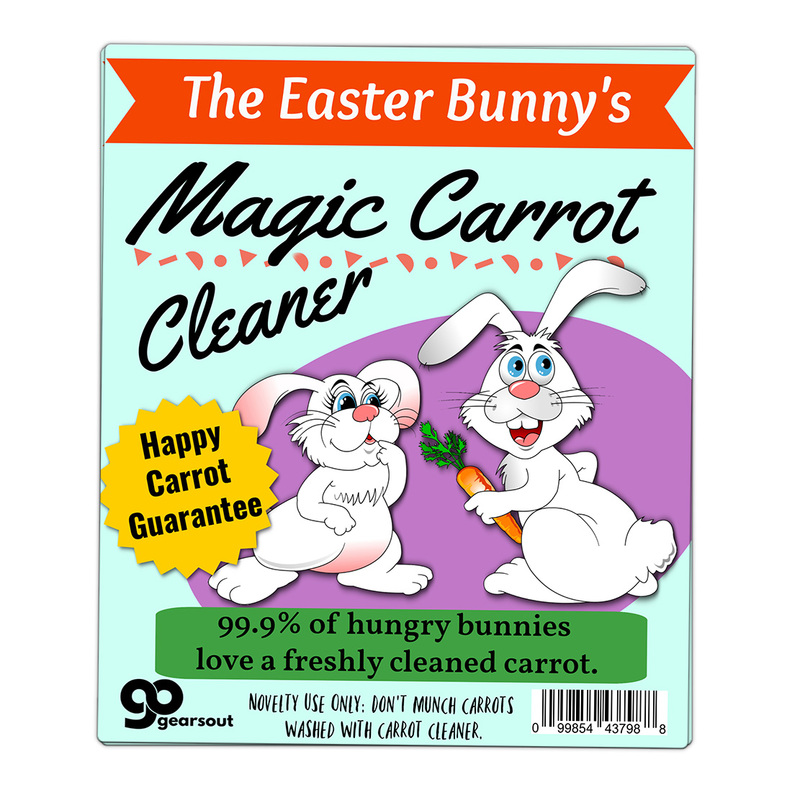 After a long, thorough cleaning, the mouthwatering appeal may be so tantalizing that ladies will want to skip the dip and pop that tasty carrot straight in their mouths! Gag gifts for guys have never been so appealing. You can be certain every gift-giving occasion will have a happy ending! 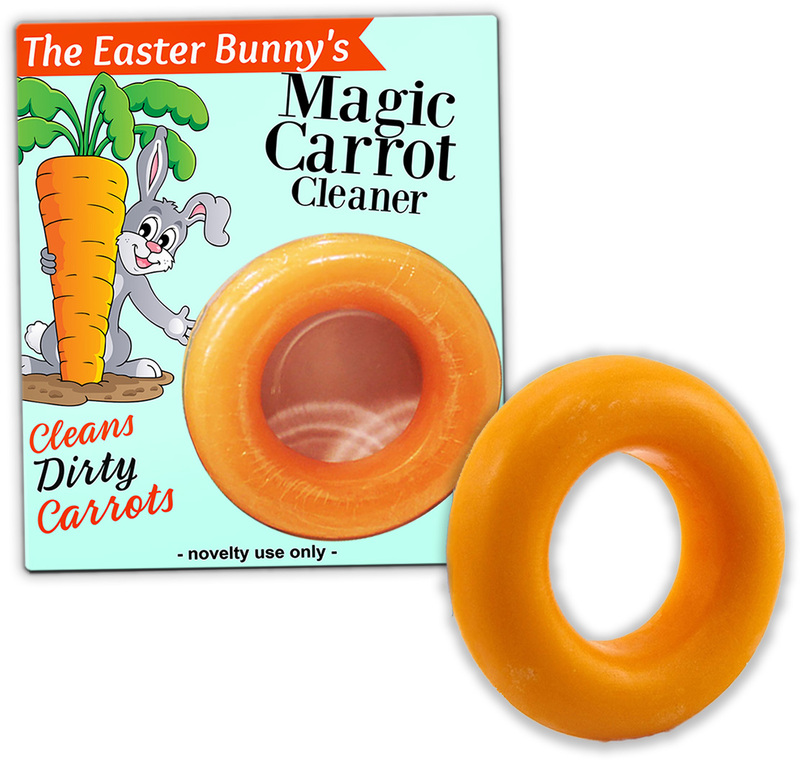 Slip The Easter Bunny’s Magic Carrot Cleaner Soap in as a saucy addition to Easter baskets and care packages or wrap it up for a springtime birthday, anniversary, or bachelor party. Any man who prides himself on the appearance of his carrot would enjoy this handy helper!